Thank you so much for visiting my website! It's a one stop shop for all things Real Estate on the Emerald Coast and is packed with advanced search technologies including a real-time feed with the Emerald Coast MLS and has EVERY LISTING. Including off market homes you're just not seeing on other websites. For a Custom List of these properties Fill Out This Form and and be as specific as possible in the message box and we'll get it to you within 24 hours. Also, to get your search started off in the right direction Please Visit our Communities Page to view listings by area along with a ton of resourceful information about the Emerald Coast! Buying Real Estate on the Emerald Coast is a complex process that can sometimes feel like a daunting one. After 15 years and 100's of clients from all walks of life we've been able to develop a strategy that breaks everything down from A-Z into a simple step-by-step process that is streamlined and easy to manage for everyone. Communication, efficiency, and effectiveness are core values that drive us to exceed our clients expectations day-in and day-out. Always putting our clients interests before our own enables us to find the right house, at the right time, for the right price! Whether your a 1st time home buyer or a seasoned investor we're eager to help you find your new Emerald Coast Home. Let us show you how our strategies are differentiating us in the market and adding more value than our competitors. We've already got your search started for you! Click one of the links bellow to Search By Area. "Bonnie was absolutely amazing! She helped my wife and I get into our dream house before Christmas, and we didn't even start looking until October. 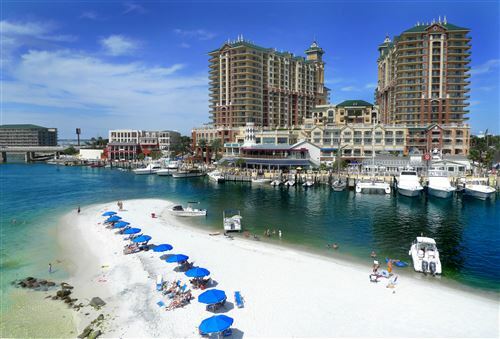 She ... more "
Emerald Coast listings last updated Apr 20, 2019 10:12:pm.